online, and test your wits against a new event in v1.2. Hillary or Trump? Sanders or Johnson? If you want to really know who is the better candidate enable "simulation" and watch them battle it out. 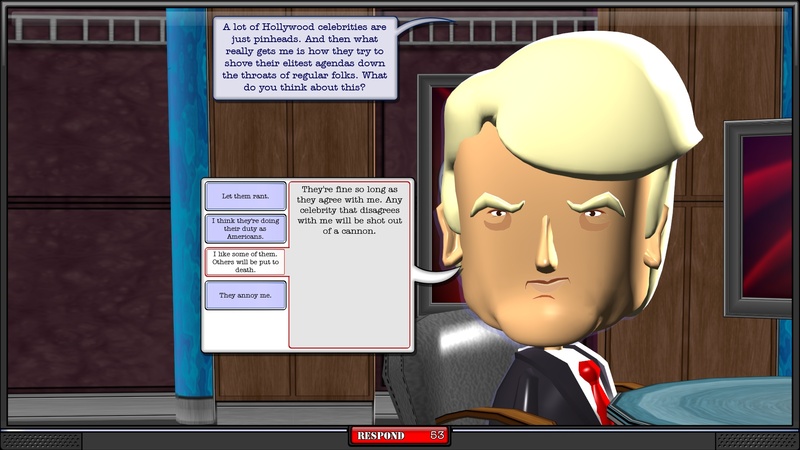 Get The Political Machine 2016 now through Stardock or on Steam. 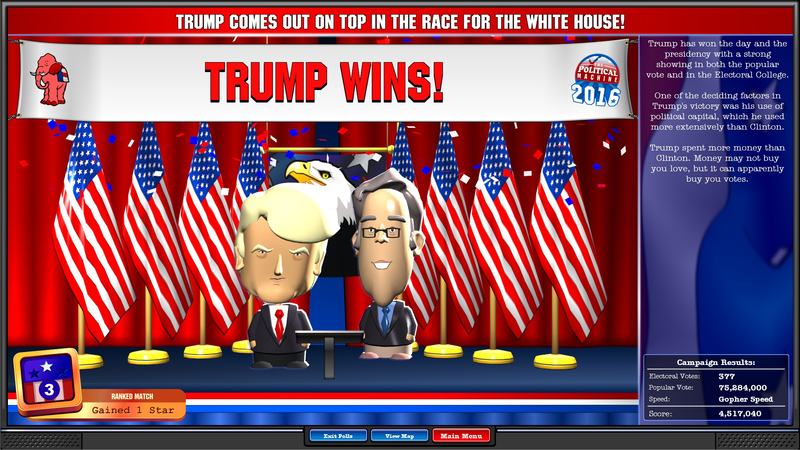 Player can no longer access the Options Screen during the "Choose running mate" screen as this led to strange behaviors. Fixed issue where CTRL+S key combo saves game every frame if the keys are held down. Now only saves once the key combo has been pressed and released. Fixed issue with the candidate selection screen not displaying correctly if you ping-ponged between single and multiplayer game screens. Fixed some problems with awarding multiple clipboard-style operatives to the same player at the same time. Fixed issue with candidate details window called from MP for opponent when you are the peer on the mp setup screen. Fixed issue with multiple options windows queueing up whenever you hold down escape. The candidate details window will no longer (rarely) refers to you as the opponent. The options window "OK" button will no longer get itself confused with similar button from the "Are You Sure You Want To Retire" dialog? The polling data window no longer shows weird numbers and symbols under certain circumstances and data combinations.